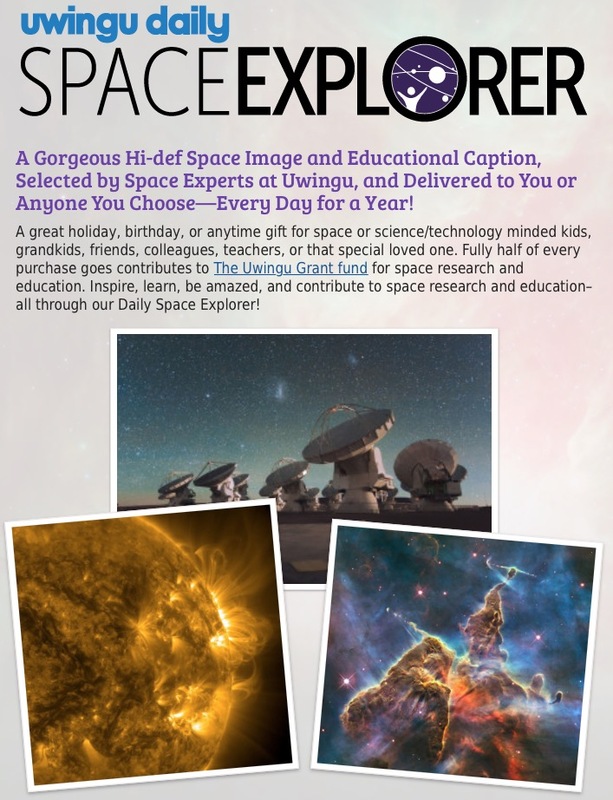 Each subscription sends the subscriber 365 daily electronic high-definition space and astronomy images and their detailed, informative captions, selected by space and astronomy experts at Uwingu. Each caption contains links to even more information for those who want to explore further. And every image has an associated discussion page at uwingu.com to share thoughts, ask questions, and discuss with other subscribers and Uwingu staff. “If you love space, you will love this beautiful daily dose of it—beautiful images of space missions, space personalities, space history, planets, and the far away cosmos. Each image is curated by space lovers for space lovers” said planetary scientist and Uwingu’s CEO Dr. Alan Stern. ← Uwingu Announces Holiday Gifts— From Mars to the Stars!